Why work in the Nyanza province in Kenya? Become provides scholarships to children in vulnerable situations living in the Homa Bay district of the Nyanza province. Several factors justify working with youth in this area. Read on below to understand what those social, economic and cultural elements are. In Kenya, the ratio of primary school attendance of urban over rural school aged children is 1.1. This means that children in urban areas have a 10% higher chance of attending primary school than children living in rural areas. According to the Kenya National Bureau of Statistics, 68% of Kenyan live in rural areas (2010). Rural areas typically present higher levels of poverty, and inadequate basic services such as piped water, health facilities, electricity, roads, and schools. The Nyanza province is primarily rural, and its economy depends mainly on smallholder subsistence agriculture. The Nyanza is greatly affected by occasional floods. The Homa Bay district, where the scholars of the program in Kenya come from, is one of the poorest of the 12 districts within Nyanza Province. In the Nyanza province, according to the latest data, 74.7% of school aged children enroll in primary school (2000). When it comes to secondary schools, the enrollment rates drop dramatically. In Kenya as a whole, the percentage of children of official secondary school age who are enrolled in secondary school is 50%. For the Homa Bay District, the percentage is even more alarming. Indeed, only 23.5% of secondary school aged children are enrolled, leaving 77% of children without ever accessing secondary school education. This low enrollment rate is due to the contextual factors explained in this page. The Homa Bay District, in the Nyanza province, has one of the highest rates of HIV infection in Kenya, estimated at about 28-30%. 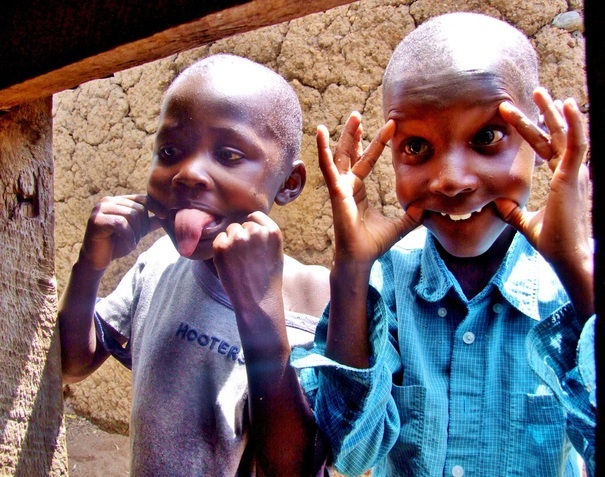 In 2009, the number of Kenyan children (aged 0 to 17) who became orphans due to AIDS was estimated at 1.2 millions. In the Homa Bay District, there is an estimated 40,000 orphans, with 16,000 having lost both parents (2008). The Ministry of Health of Kenya has many HIV testing and prevention programs and campaigns. Unfortunately, populations in rural areas are not always reached. The prevalence of malaria is also very high in the region and affects many children, resulting in high children mortality and morbidity rates. Vaccination and routine examinations are typically lower in rural Kenya, and access to health care facilities remains a challenge. In rural areas, the percentage of the population with access to improved drinking-water source remains low, at 52% of the population (2010). The work of children is concentrated primarily in the informal sector: agriculture (on tea, sugar, coffee, flowers, maize, miraa, rice, sisal, and tobacco plantations), fishing, charcoal burning, logging, herding, quarrying, and mining. Children are also involved in the production of meat and dairy products, alcohol, textiles, rope, furniture, and cabinets, and in construction, transportation, and communications services. Restaurants, barber shops, and beauty shops also employ them. Children also work as street vendors, shoe shiners, messengers, and porters. In the Nyanza province, agriculture, mining and fishing are some of the sectors that many boys and girls drop out of school to join. On the beaches along the Lake Victoria region, many children have dropped out of schools to engage in fish trading. With the high rate of HIV/AIDS in fishing communities, there are many orphans and families headed by children, forcing kids to engage in economic activities at a young age. Sadly, in the coastal areas, including around Lake Victoria, many children – especially young girls – are engaged in prostitution. 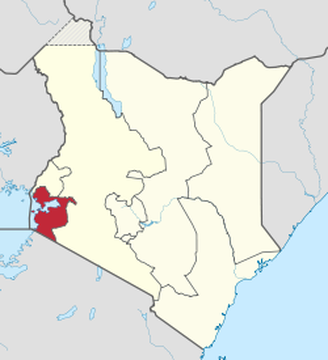 The Nyanza province counts a population of 5.4 million people, in a population of 38.6 million. The population is comprised of three main ethnic groups: Luos, Kisiis and Kurias. In Kenya, the minimum legal age of marriage is 18 for both sexes. Early marriage affects mainly adolescent girls, and data indicate that 25% percent of Kenyan adolescent girls are married before the age of 18, and 5% are married during early adolescence, that is, before the age of 15. 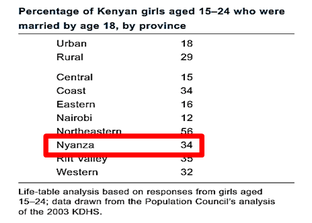 Girls in rural areas are significantly more likely than those living in urban areas to be married during adolescence. Studies showed that child marriage is more likely to occur among individuals of low economic status, living in a rural area and with limited education. Adolescent girls are often convinced to marry as a pathway to better their circumstances. Many girls chose to marry either because they could not progress in school or because their parents were extremely poor or had died. In the case of double orphans, girls are at a higher risk of early marriage than teenage girls living in urban areas. Since the launching of the FS2S program, several girls – all orphans – on their application form and during personal interviews, have mentioned that that were afraid of being forced into marriage against their will, if they could not continue on to secondary school. * The information and data used for this page come from the following sources: WHO, World Bank, UNICEF, SACMEQ, DevelopmentSeed, Population Council, Central Bureau of Statistics of Kenya, US Department of Labor, USAID and Ministry of Health of Kenya.